Anyone charged with developing a data model knows that there is a wide variety of potential problems likely to arise before achieving a high quality data model. With dozens of attributes and millions of rows, data modelers are in always danger of inconsistency and inaccuracy. The development of the data model itself could result in difficulties presenting accurate data. The need to improve data models begins in getting it right in the first place. 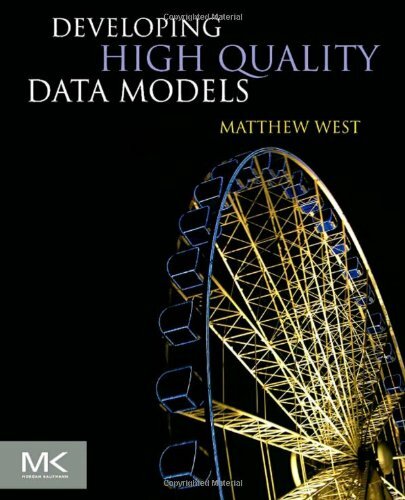 Developing High Quality Data Models uses real-world examples to show you how to identify a number of data modeling principles and analysis techniques that will enable you to develop data models that consistently meet business requirements. A variety of generic data model patterns that exemplify the principles and techniques discussed build upon one another to give a powerful and integrated generic data model with wide applicability across many disciplines. The principles and techniques outlined in this book are applicable in government and industry, including but not limited to energy exploration, healthcare, telecommunications, transportation, military defense, transportation and so on. * Learn how to review and improve existing data models. * Understand the role of data models in both developing an Enterprise Architecture and supporting Information Quality. * Understand common problems in developing data models. * Learn how to develop a consistent approach to high quality data models.